Dr. Thomas Alexander completed his gastroenterology training at the Christian Medical College, India and worked for several years after that as a specialist gastroenterologist and endoscopist. He established the gastroenterology & endoscopy units at Holy Cross Hospital and Pondicherry Institute of Medical Sciences. 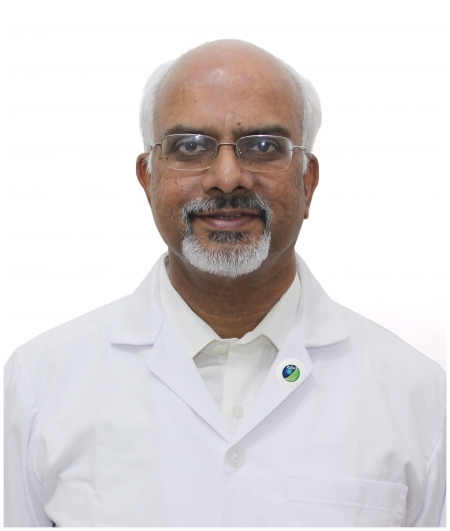 In addition to working as a consultant gastroenterologist, he was also a professor of gastroenterology and dean of medical education at Pondicherry Institute of Medical Sciences, India. Dr. Alexander’s expertise covers management of gastroenterology conditions and diagnostic and therapeutic endoscopic procedures including endoscopic retrograde cholangiopancreatography, or ERCP for the gall bladder.